Carl E. Gunn, 90, passed away on Thursday, March 1, 2018, at his home surrounded by his family. 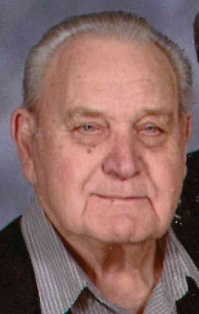 He was born in Cannelton on August 9, 1927, son of the late Clarence and Themora (McLain) Gunn. Also preceding him in death was a sister, Verna Bolin. A World War II U.S. Army veteran, Carl married Helen Collignon on November 6, 1951, at St. Paul Rectory in Tell City. Carl was a member of St. Boniface Catholic Church. A self employed mechanic, he enjoyed camping and traveling with his family and was proud of his 35 years as a school bus driver for North Spencer School Corporation. Surviving are his wife of 66 years, Helen Gunn; daughters, Susan Gunn, Brownsburg, Polly Hagedorn (Maurice), Fulda, Mary Ellen Moore (John), Avon and Kris Gunn, Fulda; son, Thomas Gunn, Santa Claus; grandchildren, Nathan Hagedorn (Lindsey), Stacy Feltner (Jared) and Sydney Gunn and great grandchildren, Parker and Tanner Feltner. A Mass of Christian Burial will be held at 10:00 AM CST on Monday, March 5, 2018, at St. Boniface Catholic Church with burial in the church cemetery. Rev. Anthony Vinson will officiate. Visitation will be from 1:00 until 6:00 PM CST on Sunday and from 8:30 until 9:30 AM CST on Monday at Huber Funeral Home, Tell City Chapel. There will be military rites conducted at the cemetery by the St. Meinrad American Legion Post #366. Memorial contributions may be made to Heart to Heart Hospice.